Here are the most important news items we have published in 2009 on PHP.net. Further details about the PHP 5.2.12 release can be found in the release announcement, and the full list of changes are available in the ChangeLog. PHP London are pleased to announce the date, venue and registration availability of their 5th annual UK PHP conference, building on the success of previous events and accommodating the continual growth of the PHP community and PHP development industry. The event takes place on Friday 26th February 2010 at the Business Design Centre in the Islington area of London. Information on the venue is available on our website. Registration is now available, with an early bird discount of £20 putting the price at £100 (ex. UK VAT), available for the rest of December 2009, increasing to £110 during January 2010, whilst the standard £120 price is available now (for those that wish to significantly contribute towards the running of the conference) until either the event takes place or we run out of places - so register as soon as you can to get the best price and secure your place. Feel free to create an account on the PHP UK Conference website at and sign-up for notifications of updates to the website. Important announcements will also be made to the PHP London announcement mailing list - sign up at http://lists.phplondon.org/cgi-bin/mailman/listinfo/phplondon-announce - via which you may be receiving this message now, and you can also follow the conference on Twitter (@phpukconference - #phpuk2010) and be a fan on Facebook. We expect to announce the initial line up of talks and speakers before Christmas, whilst potential sponsors/exhibitors can find information at http://www.phpconference.co.uk/sponsors and contact the conference committee using the form at http://www.phpconference.co.uk/contact. We hope to see you at the event in 2010! With its mixture of topics the International PHP Conference provides an ideal resource for all professionals and their successful daily routine within the whole PHP spectrum. Insights into current Web 2.0 technologies, Security, Best Practices for tools and components, Enterprise know-how, databases, architectures and more are presented at the International PHP Conference 2009. More than 30 Experts explain current trends and demonstrate how to make the most of your code and your business. They will answer your questions not only in the 40+ sessions and panel discussions but also during personal meetings. And for the very first time ever, on Sunday, 15th November, the PHP community will warm up with our free IPC Unconference. This is the place, where YOU decide about the sessions - just pick your favorite topics and get in touch with some of our speakers and other developers. 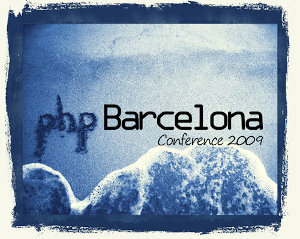 Make use of this opportunity and make yourself a part of the worldwide PHP community – at the International PHP Conference 2009. On 24th and 25th of November you should not miss the lectures of the top speakers of the PHP Industry on Professional Software Development with PHP at Munich Conference Center. 10 international speakers offer you more than 20 hours of knowledge transfer in the topics "Development", "Tools & Technologies", "PHP 5 Certification", "TYPO3 Certification", "Search Engine Optimization" and "Design Patterns with PHP" on two days. On November 24th, Pierre Joye from the PHP core team under Windows opens the congress with his keynote "PHP 5.3 and PHP 6". Amongst others topics include OOP, Web Application Security 2.0, SOAP in PHP and Zend Framework. The 25th November is a workshop day aimed at expanding and deepening your knowledge in PHP 5 Certification, TYPO3 Certification, Search Engine Optimization and Design Patterns with PHP. More detailed information is available on our website Twitter or in our group on Facebook. The PHP Barcelona User Group is proud to announce that the PHP Barcelona Conference 2009 is here, and it is arriving bigger than ever! Two days, three parallel tracks of talks and workshops, and some of the biggest names and companies in the industry covering the hottest subjects to date. Come to Barcelona (Citilab) to see Rasmus Lerdorf, Fabien Potencier, Derick Rethans, Sebastian Bergmann and many more open the hood and expose the secrets of PHP and PHP related technologies that make the Internet what it is today, and that power what the Internet will be tomorrow. Discover the newest evolution of the most popular scripting language and its intimate bonding with security, stability and scalability, and how its integration with cutting edge technology make it one of the most powerful and state of the art building blocks for robust applications. A group of winners of PHP elePHPhants or TestFest mugs have been picked at random from the people that contributed the 887 tests during the 2009 PHP TestFest. Once again a huge thank you! to everyone who helped to make this year's TestFest such an outstanding success! The PHP North West Conference has announced its return for a second year, to be held on Saturday 10th October 2009 in Manchester, UK. This is a one-day conference aimed at developers from the local region and further afield, with a deliberately low ticket price to ensure everyone who wants to attend can do so. We combine experienced speakers with some new local talent to bring an event that truly has something for everyone and a great buzz. The official conference is on the Saturday but there are social events on Friday and Saturday and an informal schedule on Sunday, so come and make a weekend of it with us in Manchester! All the venues are in central Manchester and walkable from mainline public transport, so do join us. There is a call for papers which runs until 16th August 2009 and the early bird ticket prices are fixed until September 10th. For more information, to submit a paper, to buy tickets, or to contact the organisers please visit the conference website. So finally we are at the end of the 2009 PHP TestFest. It has been an outstanding success with the coverage increasing by about 2.5% overall and 887 new tests contributed in the TestFest SVN repository of which 637 have already been added to PHP CVS. User groups from all over the world have worked hard to make this happen and we thank each and every one of you for your contribution to PHP! You really made a difference to the PHP5.3 release quality. There still are few loose ends to tie up - the TestFest SVN repository will be closed for contributions later this week and the last few tests will be moved into the main PHP repository. Finally, we have 10 elePHPants and 9 TestFest mugs to give out. The winners of mugs and elePHPants will be drawn at random from a list of people who wrote tests; the winner's names will be announced later this month. For those that would like to continue to make a difference by writing tests there are two options. You can simply continue by submitting new tests to the QA mailing list, or, if you have written a significant number of tests you might consider applying for your own PHP CVS (or SVN) ID. In your application you should reference the tests that you have written in support of your application. Last but not least, we would like to thank all of the companies and institutions that sponsored TestFest. These include Combell, Corretgé, Faculdade Impacta de Tecnologia, IBM, iBuildings, Itera, Mayflower, Microsoft, Nexen (Alter Way Group), php|architect, Redpill-Linpro, Steinigke Showtechnic, Verges Council and Zend. The Rio de Janeiro PHP user group is pleased to announce their first PHP'n Rio conference. It will be held July 3rd, 2009 at the Infnet Institute, in Rio de Janeiro. It is a one day mini conference aimed on providing experienced developers and beginners a chance to learn more about PHP frameworks, web applications built in PHP, and the art of testing code. The keynote speaker is Jan Schneider, who will also talk about the Horde project. In addition, we will have sessions about other frameworks and include a PHP TestFest. PHP'n Rio sessions go from 6-9 pm. Then the PHP TestFest follows up until 10 pm. No fees or subscription required. Participation is entirely free! Whether you live here or are around just enjoying the marvelous city, come and join us :) For more information, please visit http://www.phprio.org/phpnrio09 (portuguese only). The PHP development team is proud to announce the fourth release candidate of PHP 5.3.0 (PHP 5.3.0RC4). This RC focuses on bug fixes and stability improvements, and we hope only minimal changes are required for the next candidate or final stable releases. PHP 5.3.0 is a newly developed version of PHP featuring long-awaited features like namespaces, late static binding, closures and much more. Please download and test these release candidates, and report any issues found. A stable release is expected next week . In case of critical issues we will continue producing weekly RCs. Downloads and further information is available at qa.php.net. See also the work in progress 5.3 upgrade guide. The PHP development team is proud to announce the second release candidate of PHP 5.2.10 (PHP 5.2.10RC2) and the third release candidate of PHP 5.3.0 (PHP 5.3.0RC3). These RCs focuses on bug fixes and stability improvements, and we hope only minimal changes are required for the next candidate or final stable releases. PHP 5.2.10 is a pure maintenance release for providing bugfixes and stability updates. PHP 5.3.0 is a newly developed version of PHP featuring long-awaited features like namespaces, late static binding, closures and much more. Please download and test these release candidates, and report any issues found. Downloads and further information is available at qa.php.net. See also the work in progress 5.3 upgrade guide. CodeWorks 2009 is a series of two-day conferences for PHP developers and IT managers organized and run by the publishers of php|architect Magazine. CodeWorks will travel to seven locations across the United States between September 22nd and October 5th included. Each two-day event includes a day of in-depth tutorials and a day of conference talks arranged across three different tracks, all presented by the best experts in the business. If PHP is your work, your passion or your hobby, CodeWorks is a great way to learn and connect with the greatest community of professionals in the world—and with prices as low as $99 and a generous discount program, a uniquely affordable opportunity for everyone. Remember, each event is limited to 300 attendees and prices increase the closer we get to each event. Get your tickets today before we run out or the price goes up! For more information, visit http://cw.mtacon.com. The AFUP (Association française des utilisateurs PHP) organizes on November 11th and November 12th at the Cité des Sciences in Paris, France, the Forum PHP for its 9th edition. The PHP Forum 2009 will welcome as a partner alongside the AFUP, the association LeMug.fr (MySQL User Group). On this occasion, AFUP decided to extend the pre-registration at preferential rates, and also postpone the deadline for the call for speakers. TestFest is upon us once again. For those who don't know, this is the time of year where User Groups and individuals donate a little of their time and effort to increasing the test coverage of PHP. Hundreds of thousands of lines of code are working in concert to assemble one of the simplest to learn and fastest running scripting languages in the business. All this is achieved with the expectation that very few bugs will make it into releases and the ones that do will be stomped out quickly, efficiently and will never be heard from again. This is a lofty goal and is only possible through a system of tests designed to continuously evaluate the well-being of PHP. This year the QA Team has been very busy implementing new features and improvements to make the TestFest experience easier and more enjoyable than ever before. Some these improvements include a Subversion repository for test storage and tracking, a Virtual Machine for simple test environment setup, and improved documentation of testing procedures. 2009 is looking to be the most successful TestFest event ever. Over 20 User Groups spanning Belgium, Brazil, Catalonia, Canada, France, Germany, Ireland, Italy, Netherlands, Norway, Peru, USA and the UK have already registered. This is an incredible response and we still have 2 months left to go. Getting involved couldn't be simpler. Visit the QA TestFest page to find out how you can organize a TestFest event in your community. We are looking forward to seeing your communities tests being committed into PHP. The PHP development team is proud to announce the second release candidate of PHP 5.3.0 (PHP 5.3.0RC2). This RC focuses on bug fixes and stability improvements, and we hope only minimal changes are required for the next candidate (RC3). Expect an RC3 in 2-3 weeks, although there will not be major changes so now is a good time to start the final testing of PHP 5.3.0 before it gets released, in order to find possible incompatibilities with your project. Please download and test this release candidate, and report any issues found. Downloads and further information is available at qa.php.net. See also the work in progress 5.3 upgrade guide. The italian PHP user group (GrUSP), is organizing the 6th phpDay, theitalian conference dedicated to the PHP world (http://www.phpday.it/). This year's edition will be held in Verona on May 15-16th and "softwareintegration with PHP" is going to be the main theme of the event. For the benefit of our international visitors, there will be an entiretrack in english, so come and join us in the beautiful city of Verona! Tickets are now on sale for The Dutch PHP Conference 2009 and we want to invite you to attend. This year's conference will be held from June 11-June13, 2009. DPC09, like it's predecessors, will be held in Amsterdam at the RAI Center. This year we have expanded the conference to two days plus the tutorial day so that we can deliver even more sessions, events and value for your conference budget. Our speaker line up this year includes Andrei Zmievski, Marco Tabini, Derick Rethans, Ben Ramsey, Michelangelo van Dam, and Paul Reinheimer, just to name a few. This year's special keynote speakers are Andrei Zmievski and Owen Byrne as well as a special closing keynote session by Marco Tabini, Ivo Jansch and Cal Evans. You can see the full line up of speakers and sessions at http://phpconference.nl/schedule/. Early Bird pricing is in effect till April 30th, 2009. Save €55-€100 on ticket prices if you purchase before the deadline. For full details on DPC09 and information on how to order your tickets, visit the conference web site at http://phpconference.nl. Once again we are happy to announce our involvement with the Google Summer of Code project. Be sure to check our program at this years GSoC. We invite everyone to look at the list of ideas for this years GSoC, and get involved. Students are welcome to propose their own ideas, and we will consider all applications that are received before the April 3rd deadline. So, thanks to everyone involved and we look forward to seeing many students join us on this great adventure! The PHP development team is proud to announce the availability of the first release candidate of PHP 5.3.0 (PHP 5.3.0RC1). This release marks the final phase in a major improvement in the 5.X series, which includes a large number of new features, bug fixes and security enhancements. All users of PHP, especially those using earlier PHP 5 releases are advised to test this release as the final release of PHP 5.3.0 will eventually obsolete the 5.2 branch of PHP. For users upgrading from previous PHP 5 releases there is an upgrading guide available here, detailing the changes between those releases and PHP 5.3.0. Please also note that we are aware of issues surrounding float/integer handling in some edge cases (some of which have been introduced in PHP 5.2.0), as well as a crash bug in NSAPI, that will be fixed in PHP 5.3.0RC2. These issues however do not prevent wide spread testing of PHP 5.3.0RC1 as users can now rely on the feature set and implementation decisions no longer being changed. For a full list of changes in PHP 5.3.0, see the CVS NEWS file. Further details about the PHP 5.2.9 can be found in the release announcement for 5.2.9 the full list of changes is available in the ChangeLog for PHP 5. We are happy to invite you to this year's php|tek conference, to be held May 19-22, 2009 in Chicago, Illinois, and hosted (as always) by the folks at php|architect. Join us to hear talks and tutorials on a variety of PHP subjects from PHP experts such as Ed Finkler, Sara Golemon, Chris Shiflett, Sebastian Bergmann, Derick Rethans, Stefan Priebsch, Christian Wenz and our mid-conference keynote by Andrei Zmievski on PHP6. You can see the full schedule at http://tek.mtacon.com/c/schedule - we guarantee you won't be disappointed. This year we are also happy to invite you to our Unconference and Hack-a-thon which will be held in the early evenings, separate from the main schedule. You'll have a great time and won't miss a thing! This, coupled with our entertaining evening events and multiple networking opportunities will prove to make your trip to the conference an educational and memorable one! Early bird pricing is in effect until February 28, 2009 so hurry to take advantage of this offer before it's too late! For details on the conference, including registration and hotel information, please visit us at http://tek.mtacon.com/. The seventh edition of the PHP Quebec Conference will take place in a few days, between March 4th and 6th, 2009. It will be held in Montreal, Canada. Don't miss out on this unique opportunity to learn more on latest development techniques with PHP, RIA, Frameworks and project management. Meet with PHP Community leaders such as: Zeev Suraski, Chris Shiflett, Andrei Zmievski, Sara Golemon, John Coggeshall and many more. With over 55 technical talks, 35 international speakers and multiple networking activities you are guaranteed to take your career one step ahead in a friendly environment.